Roy Sparber received his degree from the Brooklyn Law School and holds a Master’s in Law from New York University with a specialization in taxation. 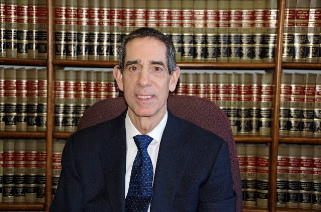 Before starting his own firm in 2005, Mr. Sparber was a senior partner in the Wall Street firm, Brauner Baron Rosenzweig & Klein LLP, where he was in charge of its Tax Certiorari Department. During his career, Mr. Sparber has been successful in reducing thousands of residential real estate tax assessments and commercial real estate tax assessments, saving his clients millions of dollars. Every time he has gone to trial, he has been successful in reducing the New York tax assessments. Most recently, he won a landmark decision concerning the reduction of assessments on a parcel containing a nursing home. It is the first time in New York City history that this type of case has been tried. Using unique and creative theories, he reduced the assessment by millions which resulted in a $400,000 tax refund. Click here to read the decision. The decision was also covered in such publications as Real Estate Weekly, Crains, and The Real Deal. He has written various articles on real estate tax assessments, including one appearing in the New York Law Journal, and has been quoted in the New York Times. He has also lectured extensively in front of various groups interested in the taxation of real property.